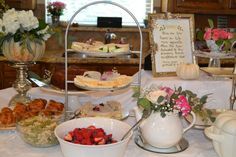 Adults, just as much as children, enjoy a tea party that celebrates any sort of occasion. 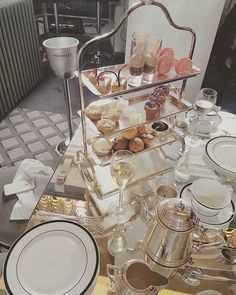 Serving loose leaf tea is a healthy alternative to any party option, and with the wide range of teas available, you can incorporate any theme or celebrate any occasion. 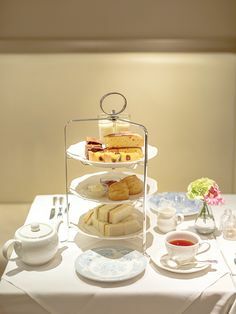 From birthdays to anniversaries or other events, tea is a fun, unique, and easy way to create a party. Use the event (is it a birthday or anniversary?) 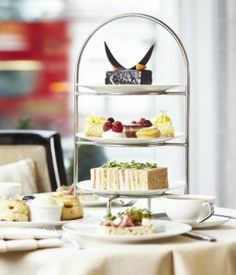 to determine the best types of tea to serve or, consider hosting a themed party. A theme can be based on anything from a book character to the time of year. Your party can be as simple or elaborate as you like. Just use your imagination, because you are sure to find a tea that is perfect for the occasion! Depending on the celebration, activities may range from traditional to unusual or even none at all! In the fast-paced world we live in, many adults will welcome the chance to sit and enjoy a hot cup of tea and good conversation. Sometimes people need a reason to relax, and a tea party can be just that. However, if you want to incorporate activities, these can easily be based on the reason for the gathering. Consult with your local party supply store or do a quick search online. You can incorporate a “tea twist” on many common games, for example. 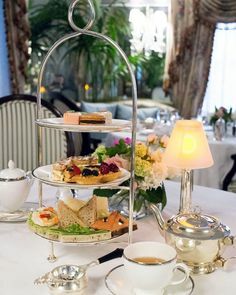 Bridal and baby shower games can include a tea theme (such as word scrambles or searches), and tea gifts make wonderful party favors for your attendees. Package loose teas in festive netting and tie it with a beautiful ribbon. Decorations will depend on the activity, such as a birthday, anniversary, or baby shower. Create a theme for the party, such as a vacation getaway for an anniversary. Decorate the room with beach balls, beach towels, and have guests sit in outdoor lounge chairs (or if the weather is nice, take the party outside!). A “famous babies” theme for a baby shower is much more interesting than decorations that are all green and yellow. Try filling the room with photos of actors who got their start in “pampers.” The key is to put a twist on your party, and then, of course, offer a twist on the tea you serve such as a fruity tea for the beach party or bubble tea for a baby shower. Music selections for your parties can vary greatly. To make it easy on yourself, look for compilation CDs that incorporate the theme. A CD of soft love songs is a great choice for an anniversary, for example, or an orchestrated mix of lullabies for a baby shower. Visit your local music retailer for specific suggestions, or do an online search for CDs that pertain to your theme. Use your theme to determine the types of invitations you will use. Get creative and make your own using specialty papers, or throw in a few loose tealeaves for a scented and enticing invitation (although some people may not appreciate tea leaves falling out, so consider some type of mesh envelope!). Because you’ll be centering your party on tea, think of using naturally colored invitations and alternative papers. A traditional birthday invitation may not be quite what you’re looking for, so look into blank cards as well, as you can then add your own words. What should you serve at a tea party? Again, your theme will have a lot to do with the food selections. If your theme is an anniversary beach party, for example, serve exotic fruits and finger sandwiches. If you are hosting a famous baby tea try collecting and serving favorite recipes of the stars then let your guests vote on the best appetizer. 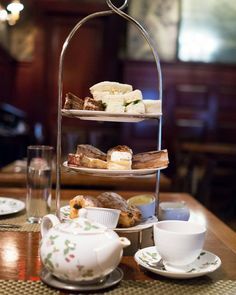 Many parties lend themselves well to lighthearted and fruity teas and tisanes. Consider offering teas that your guests may not encounter otherwise. This is a fun way to introduce new teas and enjoy the festive atmosphere. Creativity is a fountain of youth. Now grab a pencil, jot down your ideas and get started. Tea Party Girl Asks: What’s your favorite tea party occasion?